Karen and David are about to take a Gap Year. But rather than the pre-Uni teenagers you might expect, Karen and David are fully-formed grown-ups, with established careers, not to mention, bricks and mortar! Like a growing number of their peers Karen and David have itchy feet. A deep-seated Wanderlust coupled with a ‘get the most out of life’ philosophy that has led to the bold move to take a ‘Mid-Life Gap Year’. In their Fifties and together for over 10 years, Karen and David are counting down to a year on the road in a brand new Elddis Encore motorhome, on a voyage of discovery around Spain. The couple were fortunate enough to take a 9 month round the world trip when they first got together, a highlight of which was exploring New Zealand by motorhome – a first for both of them. This original motorhome adventure left a long-lasting impression on the pair: “We feel that there is no better way to completely immerse yourself in a place than to explore it at leisure, by road,” Karen and David told us. Fast-forward a decade and Karen is working her notice as a Financial Controller at a major Russian news agency, David as an experienced IT Manager. Their house is to be rented out, their finances are in order … and their gleaming new Elddis motorhome about to reach the end of the production line! 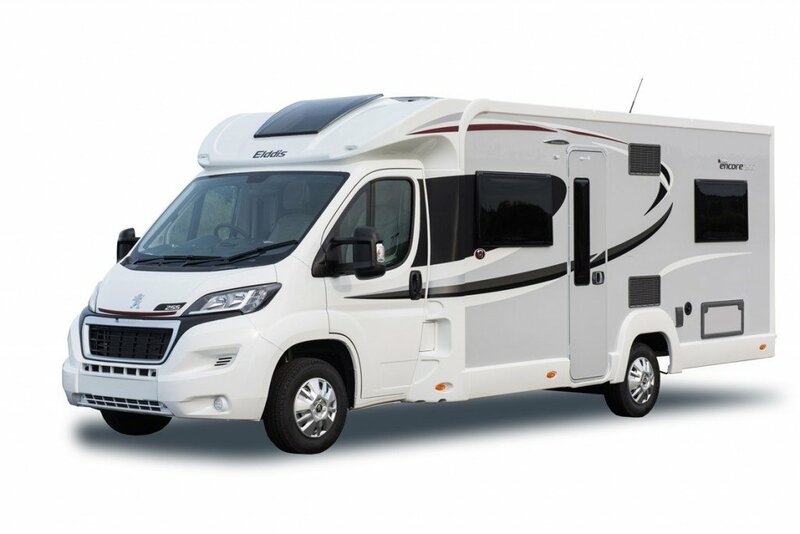 Karen and David will come to the Elddis factory in County Durham to collect their new Elddis Encore 254, then straight after Christmas set off for Spain and their Gap Year on the road. Inspired by Rick Stein, they plan to follow in his footsteps on a culinary quest to discover all that Spain has to offer. In the motorhome, they aim to get off the beaten track and uncover the less-explored areas of the country, blogging and Tweeting as they go. “If we inspire others thinking of making the leap too, that would be a great thing!” says David. Rachel Moncrieff, Marketing Manager at Elddis says: “David and Karen are not seasoned motorhomers, not by any means! Everything about this trip is a new experience – and a steep learning curve. “David and Karen are going to blog throughout their year-long trip – essentially showing other potential motorhomers exactly what’s involved and what the benefits of having a motorhome can be. 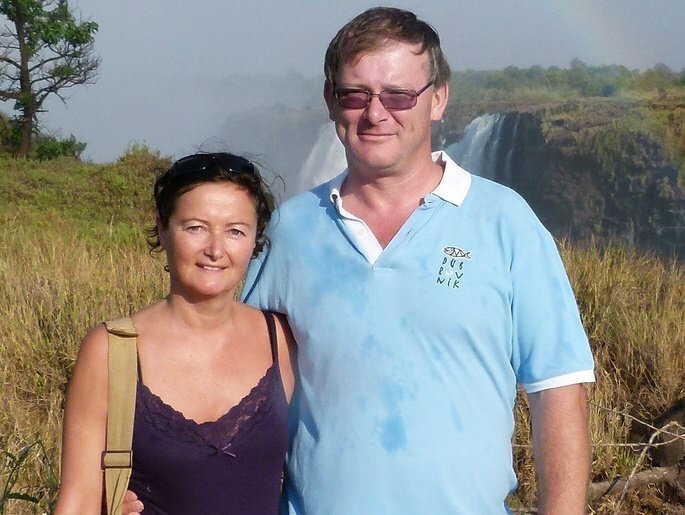 Why did Karen and David choose Elddis? Deciding to spend a year in together, in a relatively compact space means the choice of motorhome is crucial. It has to work! Karen says: “We have done a lot of research. We’ve looked at a lot of motorhomes, done our homework and talked to other motorhomers! Since selecting the Elddis brand and its all-new luxury Encore range, Karen and David needed to decide on the right layout to suit them. They visited the Elddis Factory Open Event in September, where they were able to compare and contrast the layouts available, as well as talk to other motorhome owners. A further trip to the UK’s biggest caravan and motorhome exhibition at NEC Birmingham galvanized their decision – the all-new Elddis Encore 254 with transverse fixed bed at the rear. “Having seen the Encore 254, we are both overjoyed at the home comforts and luxury that it gives us,” Karen says. “I’m not a good sleeper, but the fixed bed in this model is really supportive and cosy so I do feel that I’ll be able to sleep well in my lovely bed! above: The Elddis Encore 254 boasts retractable island bed and panoramic views! David feels confident and secure about the technical aspects of the motorhome and is keen to try out the many gadgets and gizmos that come as standard with the comprehensive specification. The couple have also opted for a solar panel, roll-out awning, rear view camera and Fiamma bike rack to aide their trip. Count down has really begun!! Thanks for the kind words hope you will subscribe to our updates, just enter your email address and click ‘subscribe’ to join us on the adventure. seeing it as your first major tour. First time must be a little dauting and of course exciting. Good luck you two, loving the blog already and will definitely subscribe!